During the late Ottoman Era, Jerusalem began to slowly expand outside the walls of the Old City. A patchwork of neighborhoods began to form in clusters, with empty space surrounding them. Thus, the modern city in its early years was still a fairly rural one. Jews and Arabs lived side by side without a lot of tension between them. And this is exactly what you would have found in the early days of the shuk. Arabs from the villages to the west sold produce to the Jews living in the adjoining neighborhoods. An early account tells of the Jewish women shoppers trying to speak Arabic while the merchants attempted to sell to them in broken Yiddish. The Jews benefited from a market that was much closer to home than the Old City, and the poor farmers were able to make a living from the new purchasers. Jews often helped the local Arabs, giving their villages water during heatwaves, and the like. Crates sitting on the ground of the field held fresh, seasonal fruits and vegetables, olive oil and eggs. One could also purchase chickens, chicken feed and straw mats. With the turn of the 20th Century, the city began to solidify. More settlements filled in the empty spaces to create a more contiguous urban area. And with this change, the market began to solidify too. The Arab salesmen built makeshift tin and wood shacks from which to sell their wares. 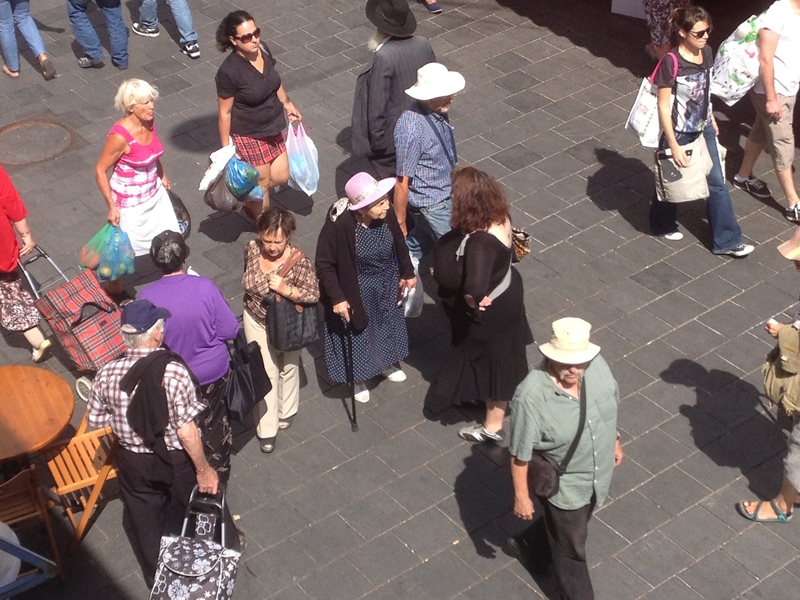 And Shuk Machane Yehuda was on its way to becoming a “real” market. 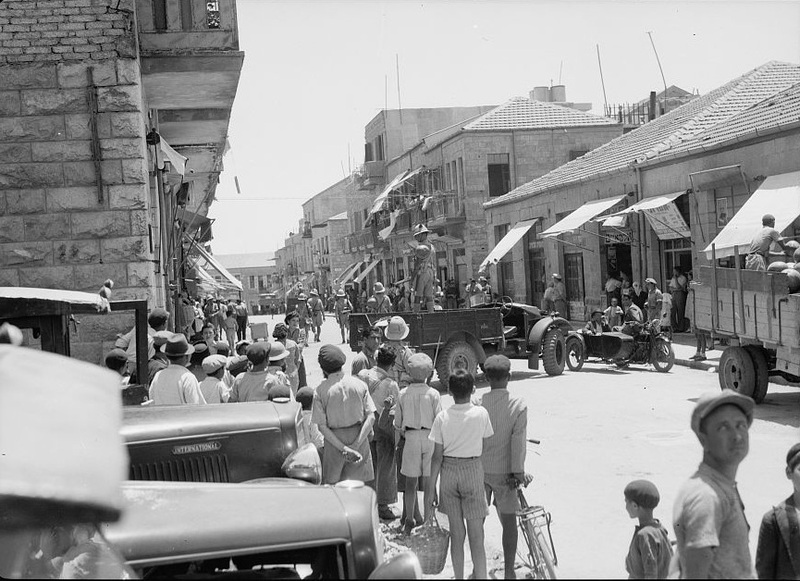 Then, with the end of World War I, the biggest changes in modern Jerusalem took place. The British Mandate supplanted the Ottomans who had been in charge. Local Arabs, ruled by non-Muslims for the first time in over 600 years, were no longer comfortable enough in their situation to live peacefully with their Jewish neighbors. And so, in 1920, 1921 and 1929 they rioted, attacking Jewish sites. And from 1936-39, the Great Arab Revolt found them attacking British targets as well as their customary Jewish ones. This changed the nature of the market. 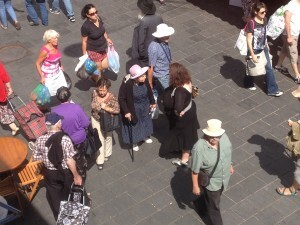 Jews living outside the Old City feared entering its largely Arab markets and Machane Yehuda grew in popularity. It also changed in character, with local and immigrant Jewish merchants replacing the former Arab peasants; Jews and Arabs in Jerusalem no longer considered each other trustworthy and peaceful. Compound this with the fact that the mandate the British received from the League of Nations called on them to prepare the land for self rule by the local population, and the fact that the British were, well, British. Thus, they began modernizing Jerusalem and trying to implement law, hygiene and a more uniform, attractive atmosphere. So Machane Yehuda became an obvious target for their efforts. In addition to attempting to enact laws on how food could be sold and on improving sanitary conditions, they also hatched a plan to completely rebuild the shuk on a grand scale. Jerusalem Governor Sir Ronald Storrs had established the Pro-Jerusalem Society to clean up the city, and its secretary was Charles Robert Ashbee, a designer who was known as a leader of the Arts and Crafts movement. Already in 1920, he designed a permanent market with wide open spaces, trees surrounding it, oriental design flourishes and a central fountain. Needless to say, Ashbee’s plan never came to fruition. Largely this was due to a lack of funding. Great rare photos and in depth knowledge of this fascinating corner of Jerusalem history! Thanks to Joel, hopefully more and more people will get out and explore this lesser-known treasure.